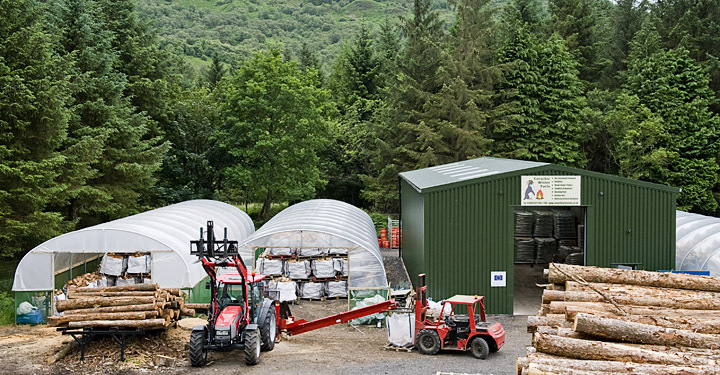 Corachie Winter Fuels is a subsidiary of Corachie Clematis with a wood processing plant and depot based at the Corachie Clematis Garden Centre site located in the Pass of Brander on the edge of Bridge of Awe near Taynuilt. Corachie Winter Fuels stock the best range of combustible fuel products in the area at competitive prices and provide a comprehensive delivery service. 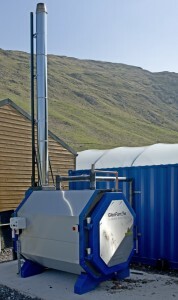 Corachie Winter Fuels process onsite both naturally seasoned and hot air dried wood (air dryer unit pictured below), and can also produce non-standard split sizes to special order. 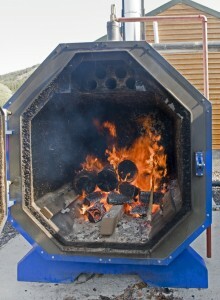 In addition to this we also retail kiln dried wood along with a comprehensive range of other fuels. Corachie Winter Fuels stock a broad range of wood, peat and coal products for fires and stoves allowing you to choose the right product that best suits your needs. 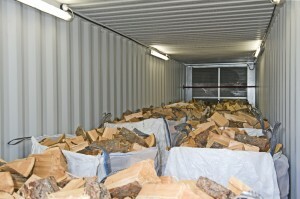 Delivery services and bulk buying prices make for a cost effective, hassle free way to restock your wood shed and is great for people with wood burners, open fires and pellet boilers. For people who have bottled gas for heaters, or cook on gas, Corachie Winter Fuels stock a complete range of bottled gas suitable for a wide range of uses from bottle gas heaters and domestic supply to midge machines, barbeques, camping and leisure as well as commercial applications.